Instead of Bionic Commando Rearmed, this is our deal of the week. "Play with 8 entirely new characters, 4 heroes and 4 villains. Free title update required to play. 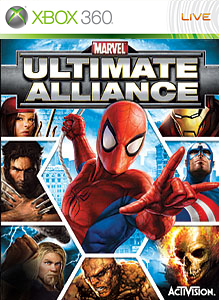 Do not download this pack if you have purchased Marvel™:Ultimate Alliance Gold Edition, due out in May 2007, as the new playable characters are already included in that version of the game. TM & © 2006 Marvel." This is a great game, but does any one play anymore? Also The gold edition of the game comes with this DLC, and you can find it for around $10 in some stores.